Journalist Ali Al Amine wrote an article around the developments that arose from the US financial sanctions. Al Amine explained that AMAL decided to "open fire" publicly and through media; however not politically or militarily, on Hezbollah as a response to the leaks that suggest that some individuals affiliated with Hezbollah some of whom are members of AMAL. In recent days two prominent indicators to a change in AMAL policy have emerged, one political and another security related, and the fact that they were issued by AMAL and their general secretary Nabih Berry makes them more significant. This happened several days after ‘An-nahar’ newspaper reported the content of a document issued by the US treasury, that is being circulated between banking and political officials, which includes sanctions on parties and individuals collaborating with Hezbollah, and it has been indicated that some of those included in the sanctions are members of AMAL. News agencies have also reported in the past week that there is US Gulf coordination on preparing a black list by Gulf states, especially Saudi Arabia, against Hezbollah without specifying whether this list will include close affiliates or individuals collaborating with Hezbollah from other Lebanese parties such as AMAL. Some analysts are linking these events to the arrest of Qassem Taj Eddine, the Lebanese businessman, by the INTERPOL in Morocco Last month who was extradited to the United States. Taj Eddine, a Shiite businessman working in Africa and has business interest in Lebanon, is from the southern town of Hanawayy in the Tyr district. He has many ties like most Shiite businessmen, with AMAL movement and Berri; as well as ties with Hezbollah. Would the information reported by the media regarding the US sanctions check out, it should be noted that AMAL were not expecting such outcomes, and are thus less capable of bearing the consequences of such measures, especially that their finances depend on their political influence through their head Nabih Berri; in addition to donations from Lebanese businessmen from inside Lebanon and abroad through a network of mutual interests made possible by the influence that AMAL has on official and political agencies. Also it should be noted that Nabih Berri, to a great number of businessmen, is the backup that could secure them protection in case sanctions against Hezbollah intensify. In the midst of these questions and concerns over the sanctions that could affect AMAL, two indicators were present in the past few days. The first indicator was clashes that occurred between Hezbollah and AMAL in three towns bordering Israel in Marjayoun district. These towns are Mays El-Jabal that witnessed a shooting last week by a Hezbollah official on the son of the town’s Mayor amidst allegations of corruption and mismanagement in the municipality. 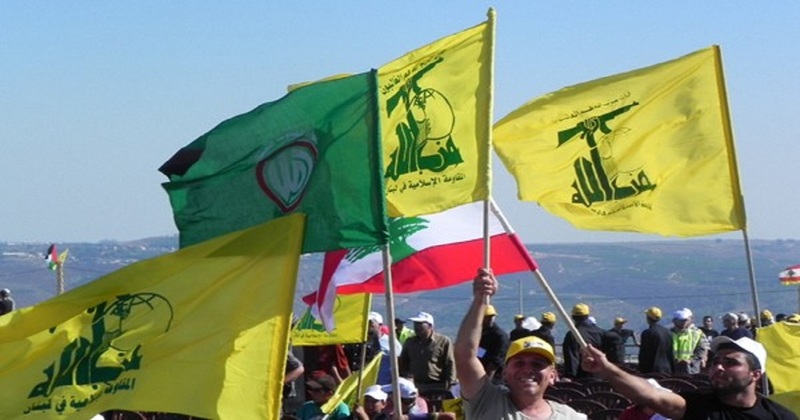 A knife fight also broke out last Sunday night between the two groups of Hezbollah and AMAL in Rub Thlatheen, in which 6 from Hezbollah were wounded after which the Lebanese army was forced to intervene. In the town of Markaba, a confrontation as well took place in the town Hussayniya during a joint memorial service for a town member belonging to AMAL and a fallen militant for Hezbollah. The second indicator is the participation of AMAL along with a representative of the Supreme Islamic Shiite Council in a ceremony held by the Saudi embassy inside the ambassador’s house. This comes during a symposium on Imam Musa Al-Sadr, in collaboration with the institutions of Imam Al-Sadr, headed by Mrs. Rabab Al-Sadr. MP and AMAL official Ayoub Homayed represented Berri while Shaykh Hassan Sharifa represented the Supreme Islamic Shiite Council; noting that the council had unapologetically rejected a ceremony invitation 2 months ago at the same location by the Saudi embassy along with all sectarian leaders in Lebanon. Through the participation in the Saudi embassy ceremony, and the occurring clashes between Hezbollah and AMAL in those southern villages, AMAL is trying to communicate a clear message to the US and the Gulf which is that it is not Hezbollah, and that it is in an ideological, political, security, and even social disagreement with Hezbollah. The short term goal of this may be to avoid possible sanctions. However, the long term goal may also be that the post Bashar Al-Asad phase my witness a new ally to the west and the Gulf from within the Shiite community in AMAL. The clashes occurring in towns along the southern border, not in Beqaa or Beirut southern suburbs, as well as the acknowledgment of the Saudi invitation despite the latter’s brutal past confrontations with Iran and its affiliate Hezbollah serve only as a clear indication to the direction AMAL is heading.